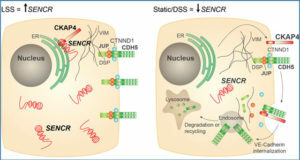 Long non-coding RNAs (lncRNAs) are emerging as potent regulators of cell physiology, and recent studies highlight their role in tumor development. However, while established protein-coding oncogenes and tumor suppressors often display striking patterns of focal DNA copy-number alteration in tumors, similar evidence is largely lacking for lncRNAs. 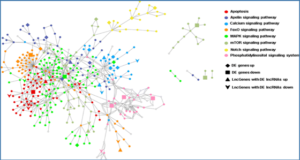 Here, a team led by researchers at University of Gothenburg, Sweden report on a genomic analysis of GENCODE lncRNAs in high-grade serous ovarian adenocarcinoma, based on The Cancer Genome Atlas (TCGA) molecular profiles. Using genomic copy-number data and deep coverage transcriptome sequencing, they derived dual copy-number and expression data for 10,419 lncRNAs across 407 primary tumors. 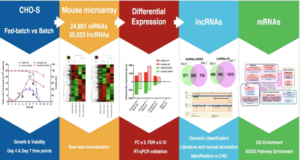 They describe global correlations between lncRNA copy-number and expression, and associate established expression subtypes with distinct lncRNA signatures. By examining regions of focal copy-number change that lack protein-coding targets, they identified an intergenic lncRNA on chromosome 1, OVAL, that shows narrow focal genomic amplification in a subset of tumors. While weakly expressed in most tumors, focal amplification coincided with strong OVAL transcriptional activation. 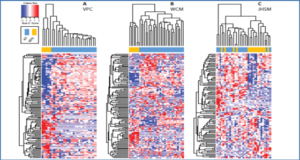 Screening of 16 other cancer types revealed similar patterns in serous endometrial carcinomas. 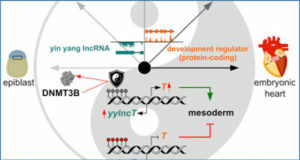 This shows that intergenic lncRNAs can be specifically targeted by somatic copy-number amplification, suggestive of functional involvement in tumor initiation or progression. 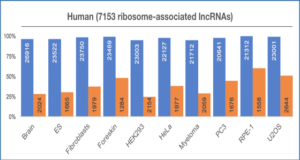 This analysis provides testable hypotheses and paves the way for further study of lncRNAs based on TCGA and other large-scale cancer genomics datasets.